The 737-200 is just like the 737-100 with an extended fuselage. It was initially launched on 1965 by United Airlines and started operation in 1968. This plane can operate on gravel runways having a gravelkit installed on it. 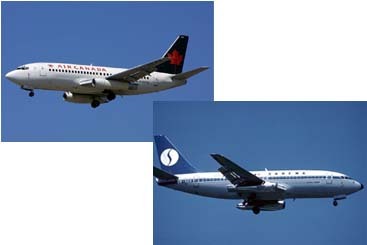 The Gravel kitted 737-200 Combis are presently used by Canadian North and First Air which are in northern Canada. For a long years, Alaska Airlines also operated them.